It’s true, Arizona gets a little warm sometimes. And by “a little warm,” we mean “cook an egg on the sidewalk hot.” If loading and unloading thousands of pounds of feed in the heat is the last thing you want to do, here’s some great news: we’ll do it for you! Triple L Feed & Supply stands apart from the rest because we don’t simply provide world-class hay and supplies; we’ll deliver any and all of them to you at affordable prices. 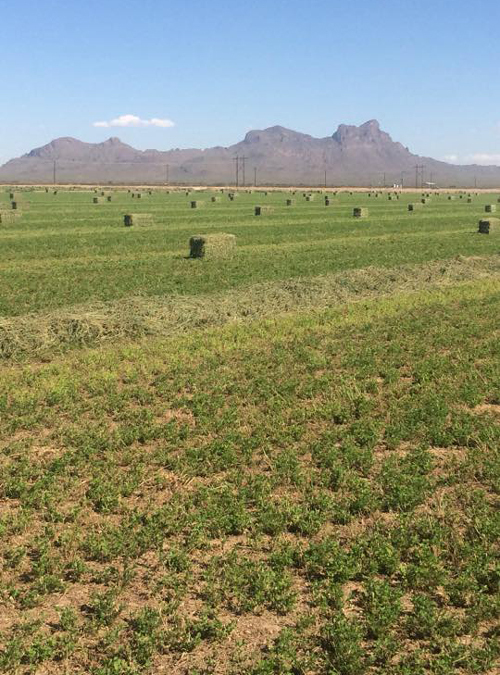 We have the trucks, equipment, and manpower to place Alfalfa hay, Bermuda hay, salt blocks, feed bags, and more wherever you need it on your property. Best of all, we’ll do it neatly, safely, and with a smile! We value consistency and punctuality, and we know you do, too. When you place an order with us, we’ll usually get it to you on the same day. If for some reason, we cannot get it to you on the day you order, we’ll deliver punctually the next day. In farming, there are a lot of unpredictable factors; Triple L Feed & Supply is not one of them. When you place an order with us, we want you to breathe a sigh of relief because you know we won’t let you down. We’re backed by four generations of experience and designed our company to be an invaluable asset to farmers all over the area. Chances are, if there’s a product or service you need, we’ve got you covered. Get in touch with our Marana team to learn more!